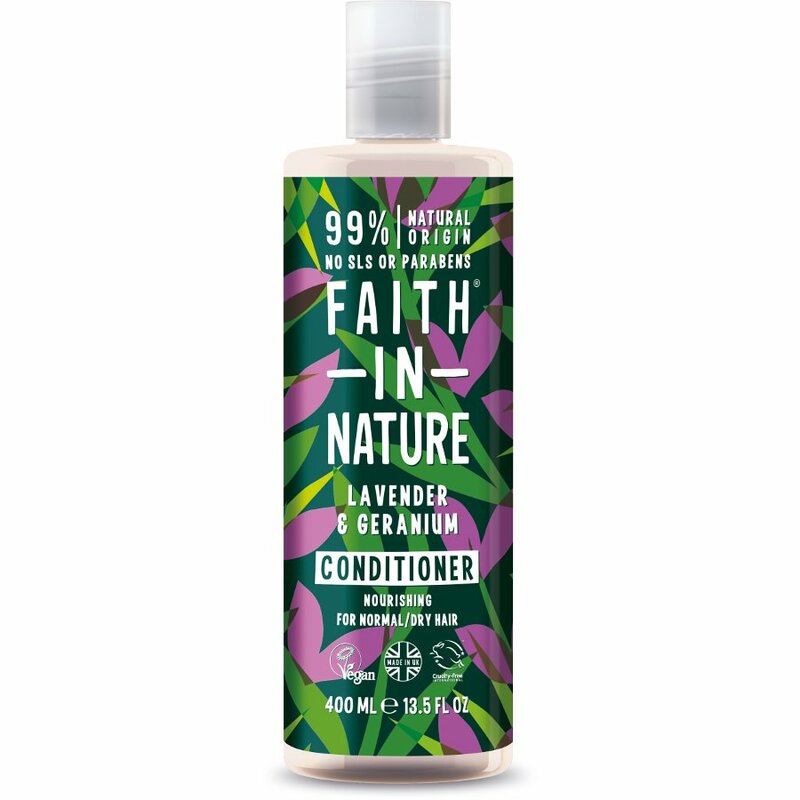 This delightfully scented Lavender and Geranium Conditioner from Faith In Nature is naturally antiseptic and restorative, helping to balance sebum (oil) production from the scalp. Lavender stimulates growth, whilst geranium also aids in balancing sebum production and is recognised as a natural astringent. The subtle blend of their essential oils soothes both mind and mood as well and restores a feeling of well-being. 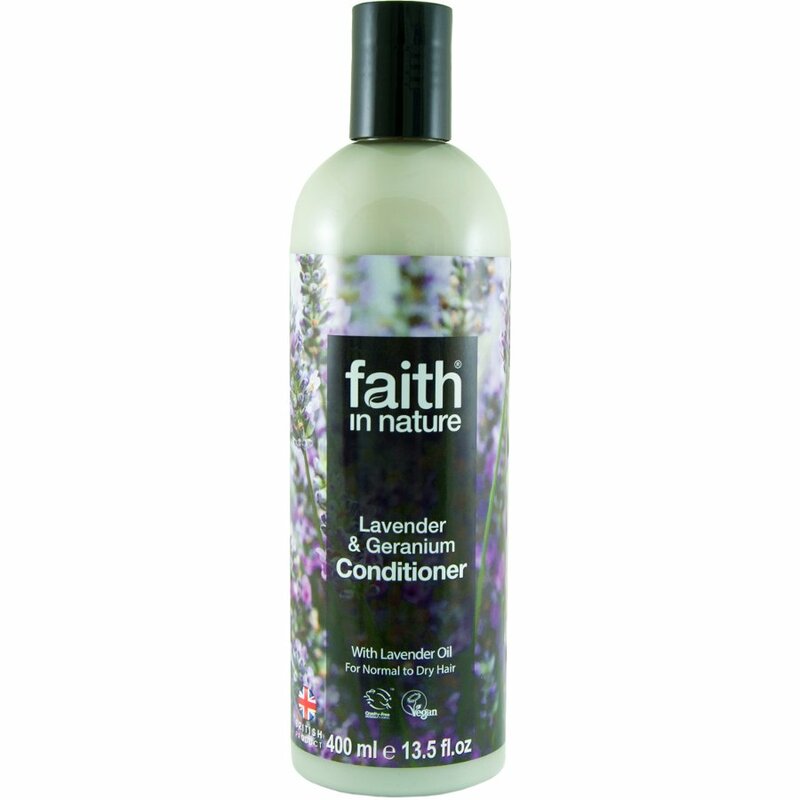 The Faith In Nature Lavender & Geranium Conditioner - 400ml product ethics are indicated below. To learn more about these product ethics and to see related products, follow the links below. This seems to work better than other Faith in Nature conditioners at detangling my very long hair.